Bess first discovered Oki Do Yoga in 2005. 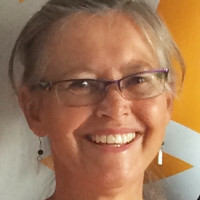 Instantly taken by the spontaneity, joy and connection that it offered, she trained intensively at Zen Central Yoga Centre until she was able to complete her Teacher Training with Peter Masters in 2008. 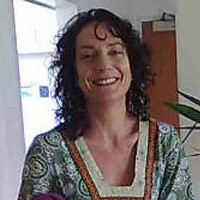 In 2008 she also travelled to Japan to spend a month training with Iishi and Hisea Sensei’s in their Family Yoga Centre. After a year of teaching in 2009, Bess returned to intensive training, completing the Yoga Presence Teacher Training with Kate Pell in 2010. This year long training included weekend workshops with Simon Borg Oliver, and other specialist teachers from the Indian Yoga tradition. Peter, Kate and Simon continue to be great inspiration for Bess and she finds joy in combining the wisdom she has witnessed with these teachers, with her own intuitive understandings. Outside of yoga, Bess works as a social worker in the Community Sector. Over the last 5 years she has worked in a number of areas including homelessness, asylum seeker and refugee support and mental health. Bess is grateful that this work offers an immense opportunity to practice the qualities she nurtures through yoga. 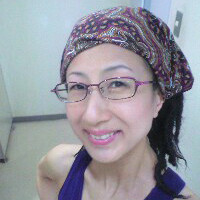 Lisa discovered Oki-Do Yoga in 2003 at Zen Central Yoga Centre. She was taken with the playfulness, creativity, fun, vitality and nourishment she experienced. Lisa has been practising yoga for 14 years and began teaching Hatha Yoga in 2001 after completing the yoga teacher training course with the International Yoga Teachers Association. She commenced teaching yoga at Zen Central in 2006 and has deepened her understanding and gratitude to the ever-revealing gifts of Oki-Do. She assisted Peter Masters in the 2008 Oki-Do Yoga Teacher Training and has participated in retreats and workshops led by Peter Masters, Ishii and Hisae Sensei’s and Masako Kunino. Lisa has completed workshops in Applied Anatomy & Physiology with Simon Borg-Oliver and is currently studying Zen Shaitsu with Michie Arake. 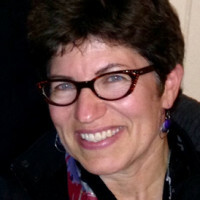 Lisa has a background in Social Science and has worked in the Human Services sector for 14 years. Her work provides daily opportunities to practice the core principles of Oki-Do Yoga - smile/laugh, gratitude, positive mind, oneness and Hara (core strength)! Megan&apos;s yoga classes encourage subtle awareness through creative and natural movement with a focus on Hara cultivation and Sound expression. Her classes offer a state of deep calm, replenishment and joy. One is encouraged to find their own internal rhythm & pace, in turn discovering one&apos;s own natural body wisdom. 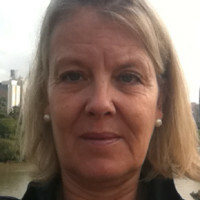 Megan began Oki-Do Yoga in 1996 in Melbourne with the late Takao Nakazawa. Takao continues to be a profound inspiration and the source of her Yoga Art practice. Megan completed her Oki-Do Teacher Training in 2002 with Peter Masters and has since been dedicated to offering this style of Yoga. She has continued her Yoga training in Australia, Japan and Europe. Megan has taught in a wide variety of settings from womens refuges, natural fitness centres, corporate and creative contexts and her most inspired work is in natural environments where the yoga mat is the earth and the roof the sky. 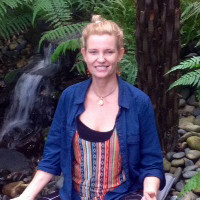 Megan has been a dedicated teacher at Zen Central since 2003 & has been teaching Yoga for the last nine years. 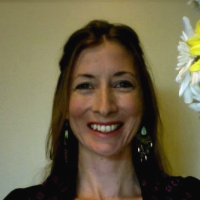 Over the last 15 years Megan has deepened her study with respected teachers in Somatic Awareness, Body Mind Centering, Experiential Anatomy, Shiatsu Yoga, Egyptian Dance, Contact Improvisation, Butoh Dance, Taiko Drumming and Chi Awareness. Such modalities inform and inspire her Yoga Art practise and teaching. 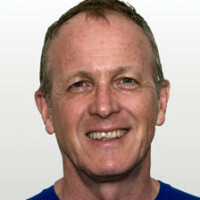 Peter has a wealth of yoga and shiatsu experince to share. He originally trained at the East West Centre in Sydney with Marcea and Daniel Weber and with Dr Masahiro Oki at the Mishima Dojo in Japan. He studied and worked with Takao Nakazawa in Melbourne in the 80&apos;s and with Masako Kunino in Sydney and the Blue Mountains in the 90s. 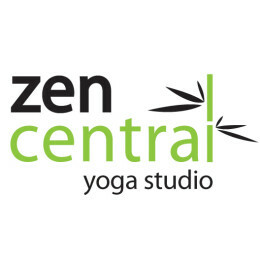 In 2002 he opened Zen Central in Brisbane. Zen Central is connected to a network of Oki-do teachers and schools in Australia, Japan, and Europe. Peter’s the director of Zen Central. He leads intensives, retreats, workshops and yoga teacher training. 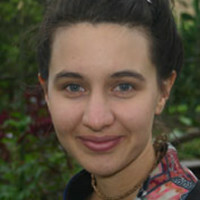 Saara was first charmed by Okido yoga in 2008 when she started to regularly attend classes at Zen Central. 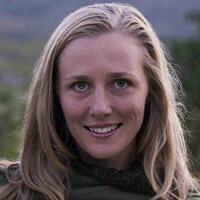 In 2011 she moved to The Netherlands for three and a half years to complete the residential Okido yoga teacher training with Mizue Tamaki, attending the first year as a student and the following years as staff. The training also included seminars by several senior teachers Osamu Tatsumura, Hatsuko Kanazawa, Maartje Van Hooft, Tomoko Mori, Koji Kunikiyo and Ronald Boin. Assisting with the residential seminars gave her insight and practical experience of the philosophical and holistic practice of Okido yoga. She was inspired by an approach to teaching that fosters a practice of continuous research, and that encourages students towards a deeper listening of themselves, and recognising life-force as teacher. Saara&apos;s classes focus on connection and awareness of life-force, Hara power (core strength and stability) and developing our natural capacities in a safe, joyful, sharing and creative atmosphere. Saara has also been training as a Butoh dancer, with a particular interest in how to listen to the body and discover its nature and the transference between the body and imagination. She also makes puppets and costumes for performances, and loves living close to nature. 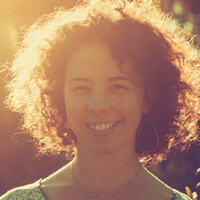 Zoe is passionate about self-enquiry through yoga practice, both for herself and her students. Zoe’s classes reflect her broad interests and experience, including influences from various yoga traditions and teachers and energetic healing therapies. She aims to balance an enquiry into structural alignment and energy flow, with subtle self-awareness and light-heartedness. Her training includes meridian therapy and qigong studied with Greg Williams, Zen Shiatsu studies with Michie Araki, Zazen meditation with Master Jinen Nagai, and ecstatic dance training with Butoh masters in Japan and Australia. 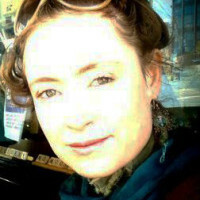 Zoe is also a Zenthai Shiatsu Therapist, which complements her approach to yoga. Treatments are tailored to your condition and may include a variety of therapeutic techniques including yoga and self-massage recommendations. 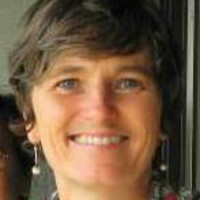 Zoe is also a registered Architect with a passion for healing spaces and ethical practice. Having a background in a professional work environment she has an insight into the challenges of creating work-life balance, and compassion for others walking this path towards wholeness. I truly believe we grow younger in body, mind and spirit with yoga, it brings out the child in us not by being childish but rather child like. Asako has found that yoga is a personal journey, a way to find your true self through life’s experiences including difficulties when she was younger. Justine is a certified teacher of Awareness Through Movement® lessons, a central practice in the Feldenkrais Method. Linda enjoys Okido Yoga because of its suitability for people of all ages, fun factor, community focus, life skill training and Japanese cultural roots. 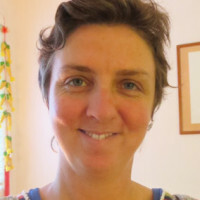 Julia has practiced yoga for 14 years, with extensive training in the Iyengar, Sivananda and Kundalini traditions in Australia, Europe and the United States. I came along to an Okido Yoga class years ago and I fell in love with it. I love the lightness and opportunities to be creative with different practices.